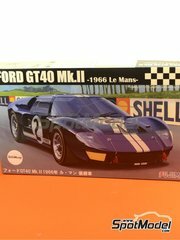 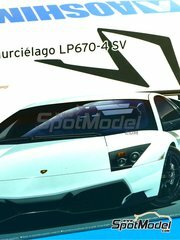 Newsletter 177: Fujimi vs Aoshima... Wanna bet? 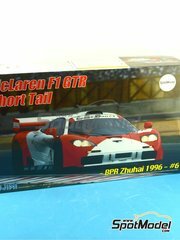 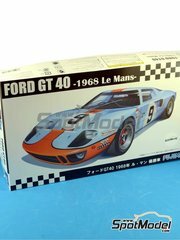 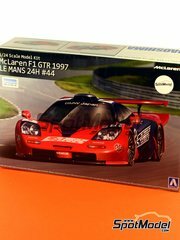 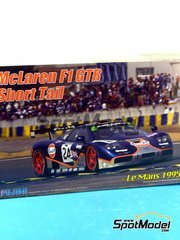 Here's the reedition of this classic Fujimi kit of the 1996 Le Mans 24 hours winner. 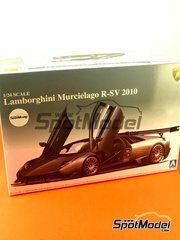 A gorgeous machine in black colors, also including some photoetched parts. 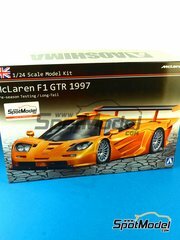 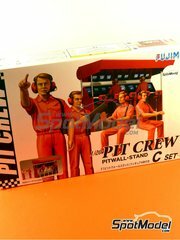 This kit does not allow you an open assembly for the doors or bonnet, and it does not include a detailed engine either. 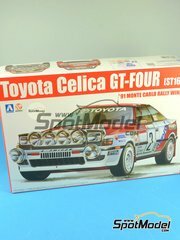 The new revision of Aoshima kit, now featuring the front headlamps used by Carlos Sainz to win Montecarlo. 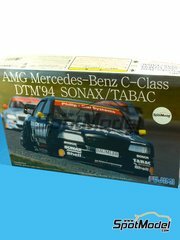 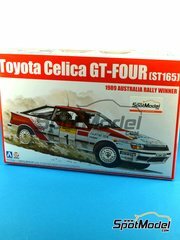 If you like DTM, don't miss this classic Fujimi kit of the car that dropped all our jaws in 1994. 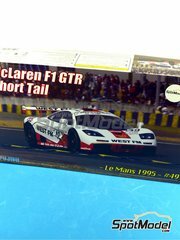 Beyond any doubts, the best part of the kit are the rims, just as gorgeous as its decals. 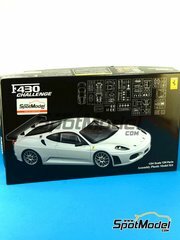 Fujimi brings us a classic Ferrari in racetrack version to build either an immaculate sponsor-free version, or for using any of the third-party decorations available. 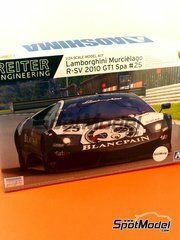 The kit includes anti-roll bars, sport steering wheel, bucket seats, bonnet pins and racing bodywork.